Mountain View, California-based robotics delivery company Nuro has raised $940 million in funding from SoftBank’s Vision Fund. Including this round, Nuro has raised more than $1 billion from SoftBank, Greylock Partners, and Gaorong Capital. Nuro’s goal is to make local delivery fast and affordable through its self-driving service. And the service uses Nuro’s custom unmanned road vehicle to run various errands whether it is picking up groceries or delivering dinner. Nuro launched its custom unmanned vehicles last year and secured a national partnership with Kroger for grocery delivery. The company also licensed its self-driving technology to autonomous trucking company Ike. 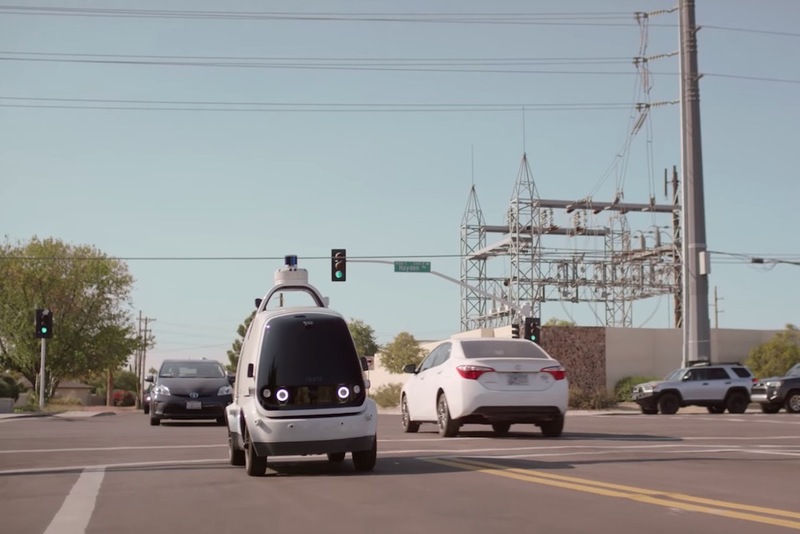 And the company launched its first-ever unmanned delivery service to the general public in Arizona. In Phoenix, a Fry’s Foods store (owned by Kroger) is using Nuro’s technology to facilitate deliveries via a smartphone app. And customers can track the deliveries through the app. Once the Numo vehicle arrives, customers verify their identity with a password or biometric authentication to collect the goods. Nuro’s R1 vehicle is shorter and thinner than most vehicles you will see on the road. And it does not have room for drivers or human passengers. And Nuro has built around six of these vehicles so far. The R1 has a top speed of 25 miles per hour. Currently, Nuro is testing a similar service with a fleet of Toyota Prius and Nissan Leaf vehicles. With this funding round, Nuro will be using the funding to expand its delivery service to more geographies, scale its fleets, add new partners, grow its team, and extend its general self-driving technology. SoftBank’s Vision Fund has invested in other self-driving initiatives. For example, SoftBank is also investing $2.25 billion in GM’s Cruise self-driving arm. Dave Ferguson and Jiajun Zhu founded Nuro in 2014. Previously, both of them worked for Google’s self-driving car project (now known as Waymo).